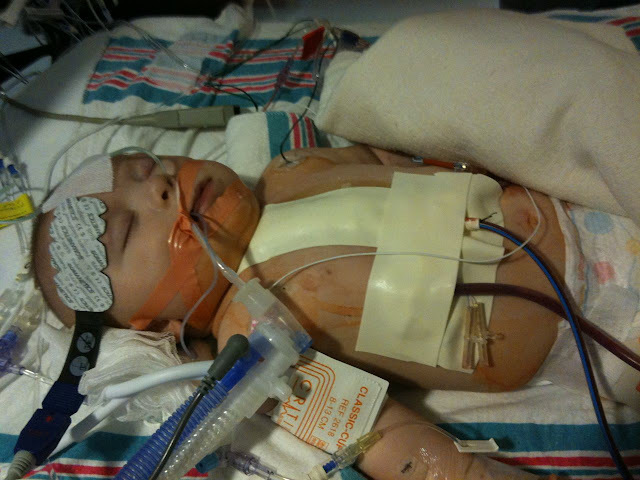 Our world was turned upside down on June 16, 2009 when our unborn son was prenatally diagnosed with Hypoplastic Left Heart Syndrome (HLHS). We were thrust into a life of fears, worries and the unknown. The first 48 hours after his diagnosis was the lowest, hardest, most difficult period of time in my entire life. My husband and I were having discussions we never dreamed we'd have -- our worst fear had become a reality. We spent days/weeks online trying to learn everything we possibly could about this diagnosis -- the statistics, the life expectancy, the journey -- anything I could find I would read, analyze and discuss with hubs. The statistics (all of which were outdated, thankfully!) were not good. At all. We were scared. And felt more alone than ever. During the remaining half of my pregnancy with Chase, we focused our efforts on the plans and preparations for our son's arrival. We would deliver at MUSC in Charleston, SC, which was almost 4 hours from our home. There were a lot of plans to be made for housing, transportation, childcare for Chase's big sister, LO, who was not yet 2 1/2 years old at the time. 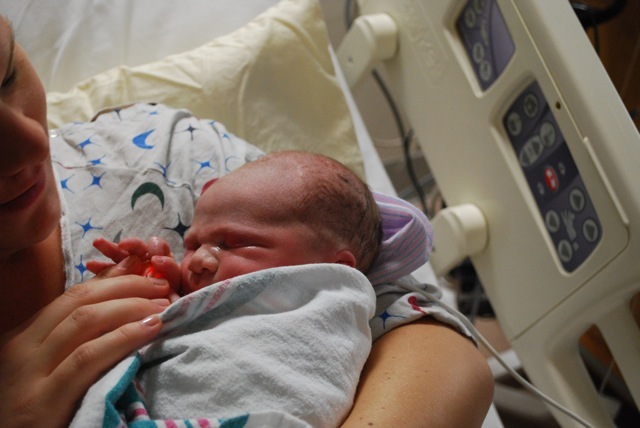 Chase was born on Monday, October 26, 2009 at 3:37 PM. He weighed 8 lbs. 9 oz. and was 20-1/4 inches long! Chase, post-Norwood. Monday, November 2, 2009. Chase, post-Glenn. Wednesday, March 3, 2010. 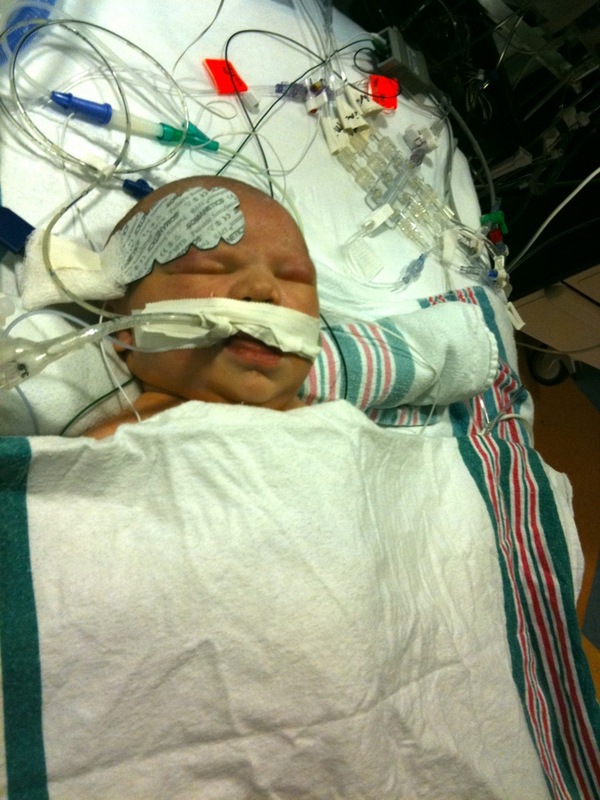 He had his second heart catheterization on Thursday, March 31, 2011. He continued to do well and his third surgery would be scheduled once he was closer to 32 lbs. and/or 4 years old. He had a third heart catheterization on Friday, August 9, 2013 to get updated pics and pressures in preparation for his third surgery. 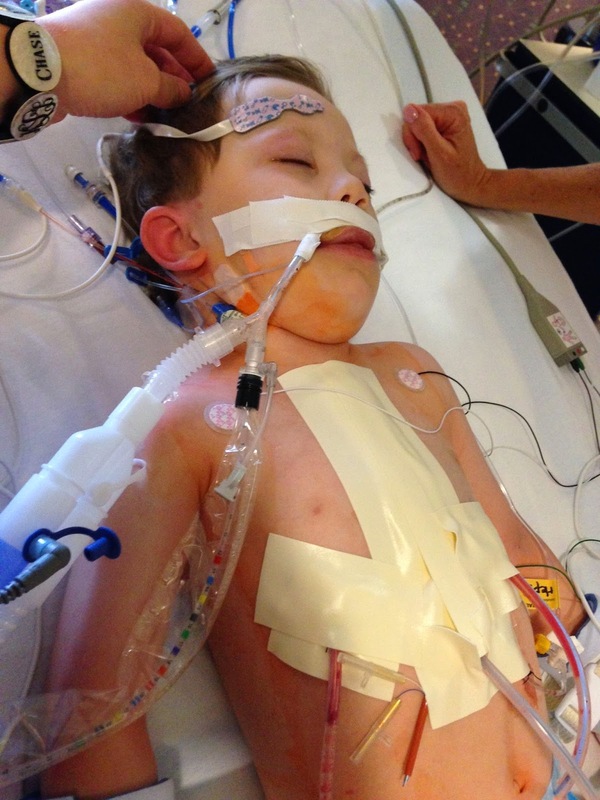 Chase's third heart surgery, the Fontan, took place on Friday, May 9, 2014 when he was 4 1/2 years old. He had a very smooth recovery without any complications and was discharged 8 days following his surgery. Chase, post-Fontan. Friday, May 9, 2014. This journey has been scary and if you didn't already realize it, it's not been easy. But one thing I've learned is that with God's help, and the support of our family, friends and church, it IS doable! Here is a little video we played for Chase's dedication at our church when he was 9 months old. I wrote the song myself since it was impossible to find one that expressed exactly what I needed to say. I also played the piano accompaniment and sang the song, too, so there's a LOT of my heart in this song for my sweet little miracle boy! Thank you for your love and support of our miracle Rock Star, Chase! My blog: www.mom2lo.com. Obviously if you're reading this, you've already found my blog! I've shared our journey with Chase from diagnosis, to birth, through his Norwood, Glenn and Fontan. If you want to read about our experiences with his surgeries, you can look in the Nov. '09 archive for his Norwood, the Mar. '10 archive for his Glenn and the May '14 archive for his Fontan. I have links to lots of other HLHS families on here my blog as well -- I trust their stories will be encouraging to you! U.S. News Best Children's Hospitals - Heart & Heart Surgery: health.usnews.com/best-hospitals/pediatric-rankings/heart-and-heart-surgery. This list provides a lot of valuable, detailed information about the hospitals that are ranked highest in pediatric heart surgery. YOU WANT TO START YOUR JOURNEY WITH THIS LIST! Your child will be in the best hands if you are able to make the necessary arrangements to go somewhere that can provide the most qualified and experienced care for your baby. Facebook groups: CHD Community and Heart Mamas. If you are on Facebook, please join these two groups. You can post questions and obtain feedback from a host of CHD families with children who have a variety of CHDs. There are even adults living with CHDs in these groups as well! I have found these folks to be so valuable when I have a question about our son's health. Sisters By Heart: www.sisters-by-heart.org. If you are expecting a baby with Hypoplastic Left Heart Syndrome, please visit this website! This group of heart moms send care packages to new HLHS families with several items they've found helpful to have during those first weeks in the hospital after birth/surgery (side-snap onesies, pacifiers, lotion, hand sanitizer, front-snap hospital gowns, notebook & pen, etc.). They would love to provide your family with a care package if you are interested! You can contact Sisters By Heart through their blog to request a package. You can also read several other stories of HLHS children there, too! Palmetto Hearts: www.palmettohearts.org. If you are from South Carolina, or if you are planning to have your child's heart surgery(ies) completed at MUSC Children's Hospital, please visit the Palmetto Hearts website! You can find local heart families, read their stories and even join heart families from across the state for the annual reunion in September! Palmetto Hearts also has a voucher program that provides financial assistance to families traveling to MUSC for surgeries and/or procedures.